One Generation Away is committed to restoring, strengthening and preserving the vision of a free America by applying our founding principles to the issues of today. It is our mission to be a convenient, user-friendly destination for clear and concise answers to complex issues, framed in freedom and truth, and explained in ways most Americans speak. OneGen will provide straight answers that will ultimately contribute to a nation of better informed citizens who are armed with knowledge that is usable and actionable. One Generation Away is a qualified, tax-exempt 501(c)(3) nonprofit organization, and contributions to OneGen are fully tax-deductible. Our Employee Identification Number is 27-2944121. Our events include a subscription-based lecture and dinner series, policy-related discussions with leading think tanks, and special presentations by engaging speakers on compelling topics. Abby Moffat is Vice President of the Diana Davis Spencer Foundation and is a veteran leader of several non-profit boards. She is Chairperson of Daniel Morgan Graduate School of National Security and sits on the boards of The Heritage Foundation, the Intercollegiate Studies Institute, the National Foundation for Teaching Entrepreneurship, the Center for Security Policy, the Atlas Economic Research Foundation, Radio America and the Media Research Center. Cal Thomas is America’s #1 nationally syndicated columnist. His column appears in 550 newspapers across the nation, and his syndicated radio commentary can be heard on 330 stations. Thomas has written extensively about political issues and he supports, among other things, many American positions related to Israel. Cal also writes for USA Today, is the author of ten books, and appears regularly on Fox News Channel. 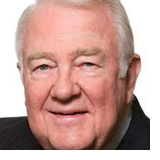 Ed Meese is a prominent leader, thinker and elder statesman in the conservative movement who served as the 75th Attorney General of the United States from 1985 to 1988. From 1981 to 1985, he served Ronald Reagan as Counsellor to the President – the senior job on the White House staff – and functioned as Reagan’s chief policy adviser. He currently holds the Ronald Reagan Chair in Public Policy at The Heritage Foundation. Ann Winsor has spent a lifetime in service to others: her five children, her husband, a former US Ambassador, and her country. She volunteers as an interpreter and judicial assistant in the Fairfax County Family Court System, as a resource teacher for the DC public school system, and in hospice care. Lynn Taylor is president and co-founder of the Virginia Institute for Public Policy, an independent, education and research organization that develops and promotes public policy consistent with the Virginia tradition of individual liberty, dynamic entrepreneurial capitalism, private property, the rule of law, and constitutionally-limited government. She is also president of Tertium Quids, an issue advocacy organization and the executive producer of Freedom & Prosperity Radio, a syndicated talk radio program with a focus on politics and public policy. Tim Donner, longtime entrepreneur, broadcast journalist, conservative public policy advocate and former US Senate candidate from Virginia, is founder and President of One Generation Away. He established Horizons Television, which specializes in documentary, educational and promotional video production, and has served as a trustee for several organizations, including the Virginia Institute for Public Policy, Radio America and the National Mental Health Association. Scott Cosenza has served as Policy Director for OneGen since January, 2012. Scott is an attorney who received his law degree from Villanova University and has broad experience in the constitutional realm, with assignments in the Maryland legislature, at Cato Institute and at the Bill of Rights Institute, where he co-authored The Bill of Rights and You. He is Co-Editor of OneGen’s Roots of Liberty.